This section provides downloads and links to articles, papers, reports and diagrams, plus relevant and related guides. The project deliverables will also be accessible here, and shall be added to whilst the project progresses. 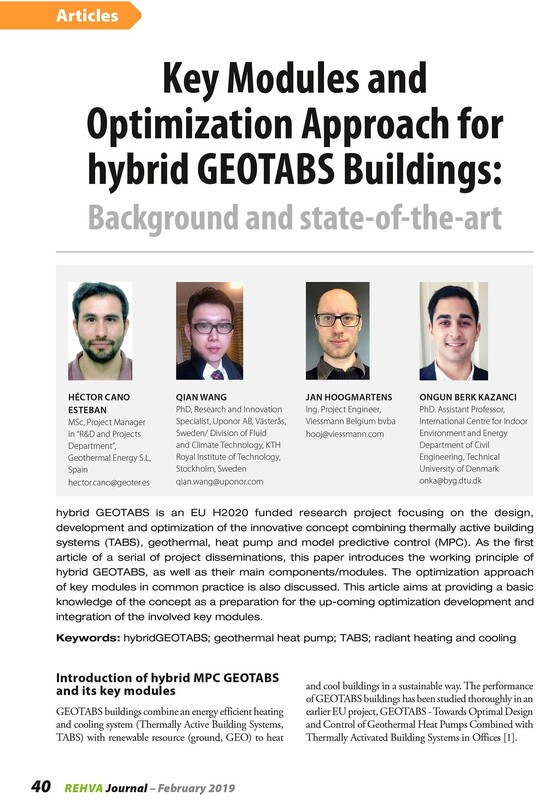 As the second article of a serial of project disseminations, this paper introduces the working principle of hybridGEOTABS, as well as their main components/modules. The optimization approach of key modules in common practice is also discussed. This article aims at providing a basic knowledge of the concept as a preparation for the up-coming optimization development and integration of the involved key modules. Our introductory article, part of a series in the REHVA Journal explaining hybridGEOTABS and ongoing results, is now available in June's publication. 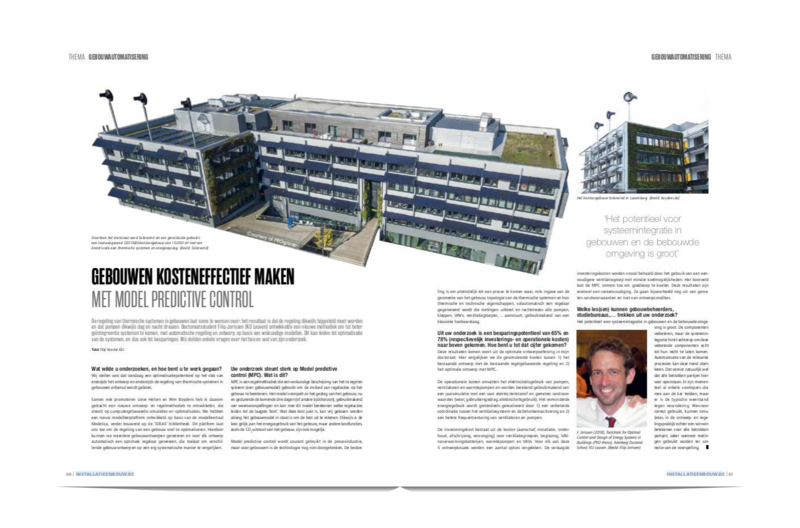 Through the use of Model Predictive Control (MPC), a new control-integrated building design procedure and a readily applicable commercial system solution in GEOTABShybrid, the overall efficiency of heating and cooling will be significantly improved in comparison to current best practice GEOTABS systems and its competitiveness will be strengthened. The present paper is the first of a series that introduces the hybridGEOTABS project and then specifically focuses on the control-related aspects of the hybridGEOTABS solution, the MPC, providing some interesting insights of its potential development. In the early design phase of a building, the task of the Heating, Ventilation and Air Conditioning (HVAC) engineer is to propose an appropriate HVAC system for a given building. This system should provide thermal comfort to the building occupants at all time, meet the building owner’s specific requirements, and have minimal investment, running, maintenance and replacement costs (i.e., the total cost) and energy use or environmental impact. Calculating these different aspects is highly time-consuming and the HVAC engineer will therefore only be able to compare a (very) limited number of alternatives leading to suboptimal designs. This study presents therefore a Python tool that automates the generation of all possible scenarios for given thermal power profiles and energy load and a given database of HVAC components. The tool sizes each scenario properly, computes its present total cost (PC) and the total CO2 emissions associated with the building energy use. Finally, the different scenarios can be searched and classified to pick the most appropriate scenario. 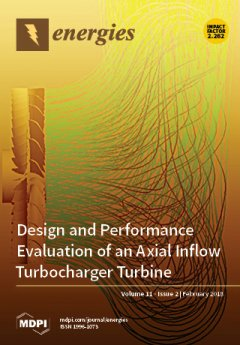 The tool uses static calculations based on standards, manufacturer data and basic assumptions similar to those made by engineers in the early design phase. 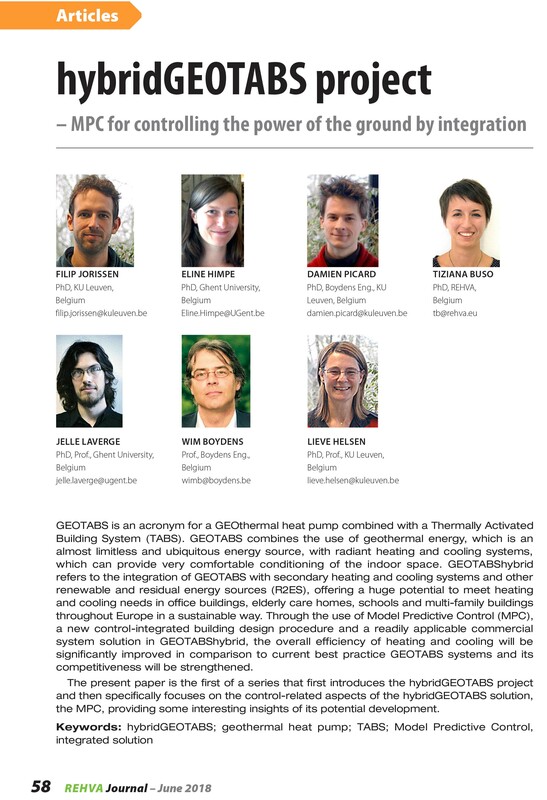 The current version of the tool is further focused on hybrid GEOTABS building, which combines a GEOthermal heat pump with a Thermally Activated System (TABS). It should further be noted that the tool optimizes the HVAC system but not the building envelope, while, ideally, both should be simultaneously optimized. This paper systematically investigates the required controller model complexity necessary to obtain optimal control performance for a given building. First, a 6-room house is modeled in detail using building energy simulation software. The building model is then linearized to obtain a linear time invariant (LTI) state-space model (SSM) and the upper bound of the control performance is computed using an MPC with the SSM both as controller and as plant model. The accuracy of the SSM (containing more than 250 states) is then artificially decreased by reducing its number of states to different orders ranging from 4 to 100 using balanced truncation model order reduction technique. The performances of MPCs using these controller models are then compared with the upper bound for both a standard MPC formulation (S-MPC) and an offset-free formulation (OSF-MPC) and with the performance of a rule-based-controller (RBC). The procedure is repeated for the same house model with a higher level of insulation and for a lighter weight construction.